We are living in such a timeline where everything we eat is genetically modified for our own good. Be it seedless fruits for us or insect resistant vegetables for the farmers. Now it's time to take it a bit further out into the space with mangoes! 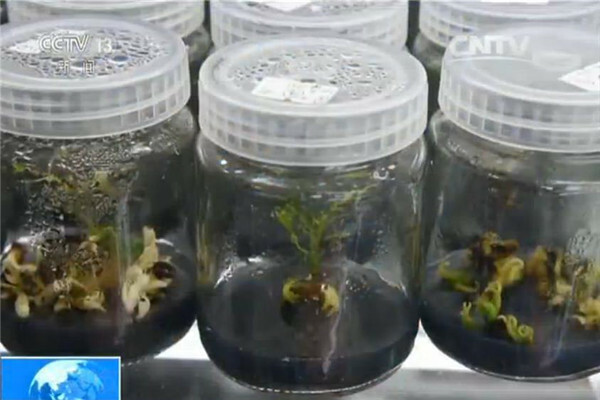 The embryonic cells of the mango brought back by manned spacecraft Shenzhou XI last November after the 33-day space mission have now grown new tissues at a lab in South China's Hainan province. These cells were developed under an experiment designed to cultivate a new variety of mango through environmental mutation in space. Scientists' next stage task is to study how the mutation can affect the fruit and further cultivate the breed that can become "space mangoes". "Space mangoes are expected to be insect-resistant, of higher quality and provide more output," said Peng Longrong, head of the project, to CCTV.